Autumn came to the rescue through no fault of her own. Her family just was not home enough to spend time with her so she spent quite a bit of her day in a kennel. They wanted better for her and surrendered her so we could find her a better situation. 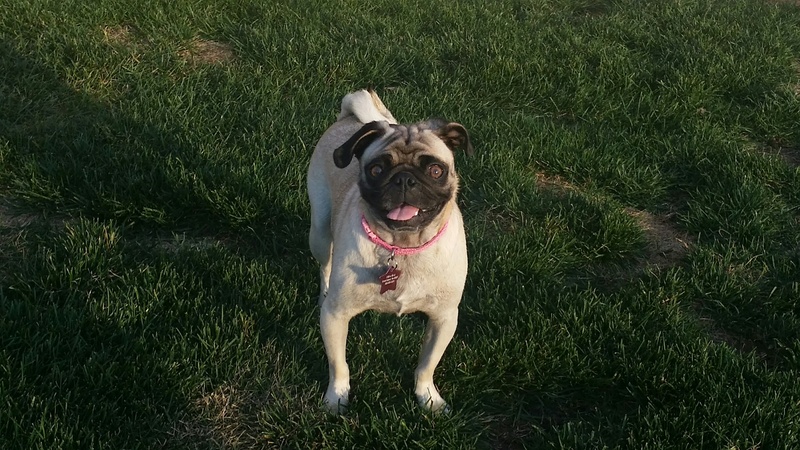 Autumn has lots and lots of energy and loves to play with her foster pug sisters. She would like a home with a fenced in yard to run around in and another dog or two to play with. She gets along with other pugs, cats and older children. She likes to snuggle on your lap and sleep in bed with her people. For her wish list this holiday season, Autumn is looking for the perfect forever home to call her own. Interested in adopting Autumn? Please see our website and fill out an application at: www.pugpartners.com/adoption-application Autumn’s minimum adoption donation is $400.